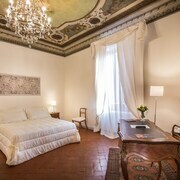 Located in Santa Maria Novella, this hotel is within a 5-minute walk of Via Faenza and Santa Maria Novella Basilica and Museum. Cathedral of Saint Mary of the Flower and Piazza del Duomo are also within 10 minutes. Florence Santa Maria Novella Station is only a 5-minute walk and Porta al Prato Station is 16 minutes. 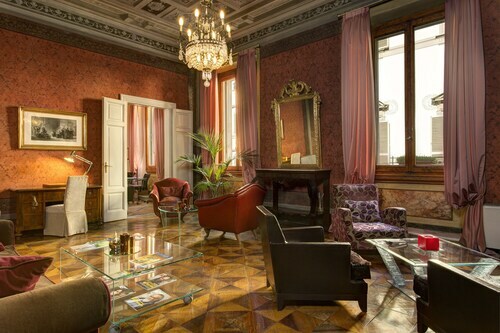 This Florence hotel is 150 meters from the Bargello Museum and 250 meters from Dante’s House, the Piazza del Duomo, and the Badia Fiorentina. The Duomo Works Museum is 300 meters away. 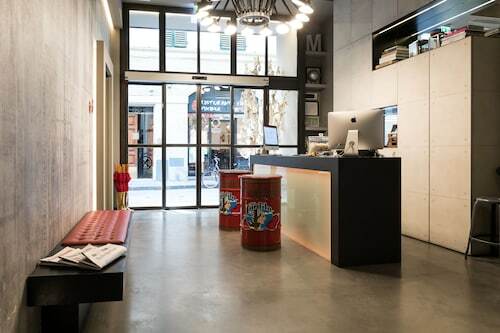 Located in Duomo, this hotel is steps from Palazzo Medici Riccardi, Cathedral of Saint Mary of the Flower, and San Lorenzo Church. Piazza del Duomo and Academy of Fine Arts are also within 5 minutes. Florence Santa Maria Novella Station is 11 minutes by foot and Porta al Prato Station is 22 minutes. 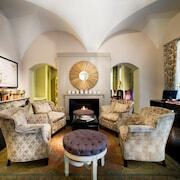 Occupying a 19th-century townhouse, this hotel adjoins Orto dei Medici Garden and is 3 blocks from Galleria dell'Accademia, home to Michelangelo's David. The Uffizi Gallery is 1.2 km away. Santa Maria Novella railway station and Fortezza Da Basso Fair are also nearby. 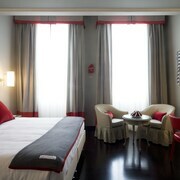 Located in Duomo, this hotel is steps from Medici Chapels and Santa Maria Novella Basilica and Museum. Cathedral of Saint Mary of the Flower and Piazza del Duomo are also within 10 minutes. Florence Santa Maria Novella Station is only a 5-minute walk and Porta al Prato Station is 16 minutes. Located in San Lorenzo, this hostel is within a 10-minute walk of Central Market, Fortezza da Basso, and Statue of David. Cathedral of Saint Mary of the Flower and Gallery of the Academy of Florence are also within 15 minutes. Florence Santa Maria Novella Station is 13 minutes by foot and Florence Statuto Station is 15 minutes. 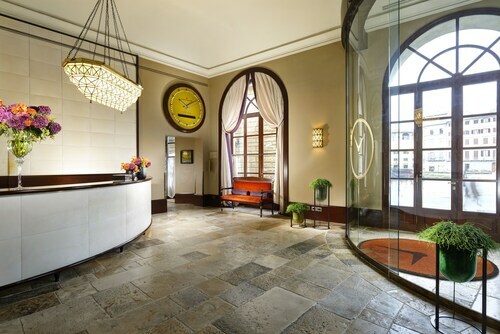 Located in Santa Maria Novella, this luxury hotel is within a 10-minute walk of Via Faenza, Santa Maria Novella Basilica and Museum, and Fortezza da Basso. Cathedral of Saint Mary of the Flower and Piazza del Duomo are also within 15 minutes. Florence Santa Maria Novella Station is 5 minutes by foot and Porta al Prato Station is 16 minutes. 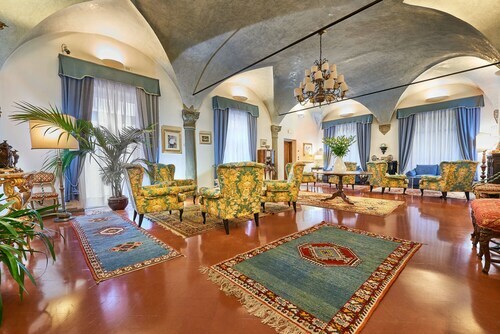 This luxury hotel in Florence historical center occupies a 15th century's building, next to Palazzo Strozzi and close to the elegant shopping street Via Tornabuoni, and the city's tourist attractions, restaurants and bars. 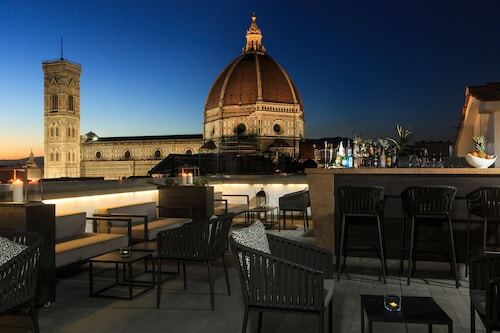 This family-friendly Florence hotel is located in the historical district, within a 5-minute walk of Ponte Vecchio, Piazza della Signoria, and Uffizi Gallery. Palazzo Vecchio and Pitti Palace are also within 10 minutes. Florence Santa Maria Novella Station is 14 minutes by foot and Porta al Prato Station is 21 minutes. 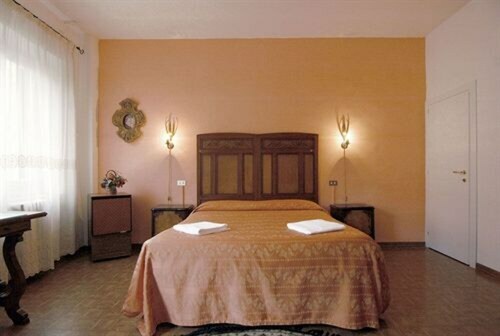 This family-friendly Florence hotel is located in Oltrarno, within 1 mi (2 km) of Boboli Gardens and Pitti Palace. Ponte Vecchio and Piazza della Signoria are also within 2 mi (3 km). This family-friendly Florence hotel is located in the historical district, steps from Piazza San Firenze, Palazzo Vecchio, and Uffizi Gallery. Piazza della Signoria and Bargello are also within 5 minutes. Florence Santa Maria Novella Station is 17 minutes by foot and Porta al Prato Station is 26 minutes. How Much is a Hotel Room in Florence? 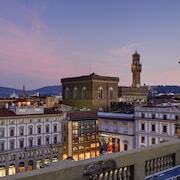 Hotels in Florence start at C$68 per night. Prices and availability subject to change. Additional terms may apply. Are you ready to see centuries of history and culture in one of the world's most romantic and fascinating cities? 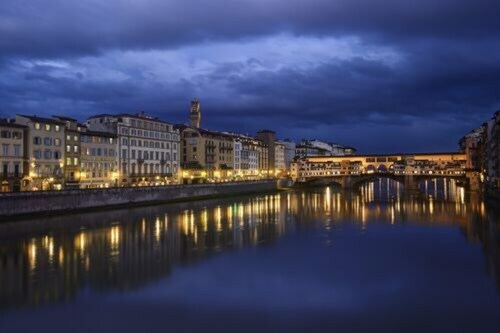 Welcome to Florence, Italy, the essence of an artful Italian city. Here you will see modernity that in no way forgets its rich history. Find romantic hotels in Florence, and prepare for a getaway that also takes a cultural trip back in time. Florence is the birthplace of the Renaissance, and no person embodied the explosion of art, architecture, and culture of that era more than Michelangelo. While tourists throng to see his incredible sculpture, "David," there are other amazing works to admire as you meander around top hotels in Florence. After seeing "David" at Accademia, walk to Bargello National Museum for more of his work and pieces by other masters such as Donatello, Verrocchio, Cellini, and more. Don't forget Uffizi Art Gallery, which houses Michelangelo's "Tondo Doni," his first painting on canvas; it is the only one in the city. The Opera del Duomo is home to "Pieta Bandini," which includes his self-portrait in the sculpture. The centuries of culture found here also contributed to a finely tuned cuisine known simply as "Fiorentina." You can take in the savory flavors at some of the most historic cafes lining Piazza della Repubblica is lined with the most historic cafes. Stay at the best hotels in Florence, and find eateries outside the doors like the exquisite street food of Aurelio Il Re de Lampredotto. The options are almost limitless. When you're ready to sample the fruit of the vine, head out to one of the many great wine bars that serve offerings from area wineries. Isn't it time you immersed yourself in all that is Florence? 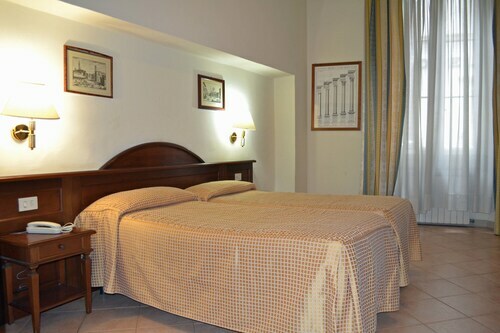 Cheap accommodation when staying in Florence hotels may seem daunting, but Travelocity can help you make it happen. 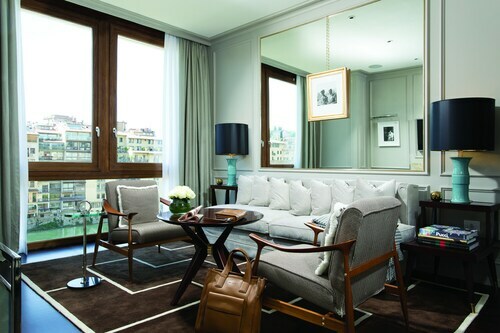 If you want to stay in the lap of luxury, there's no shortage of 5 star hotels in Florence ready to welcome you as well. 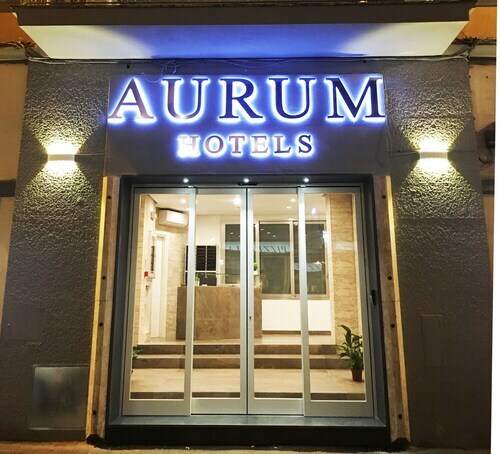 Beautiful hotel, perfect location, helpful staff, delicious breakfast. 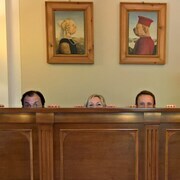 Best hotel in Florence! Great location, staff and food - especially the free “American” breakfast! 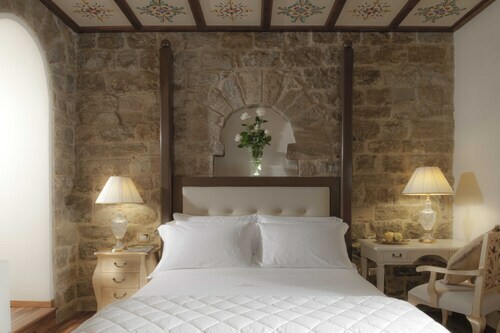 Wonderful bed and pillows- they offered three types. Hope to get back there someday! Hotel is pretty inconvenient because it’s not located within the city. 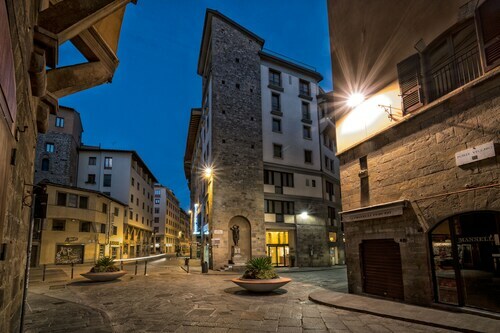 The hotel provides a bus shuttle that takes you to Piazzale Montelungo (right behind the Florence Train Station) which is walking distance from the main attractions but this bus shuttle has designated times that it comes. So if you don’t plan to make it to one of those times they designate, forget about it. Pretty inconvenient and also the bus ride is atleast 20 min each way. They have a gym here which is pretty nice with weights, cables, treadmill/bike/elliptical & other accessories. We wanted to use the spa they advertised but it was closed for refurbishment. Note they charge a city tax for each night you stay. Nice and clean, comfortable bed. No free breakfast though :/ they charge 20 euros for their breakfast buffet. 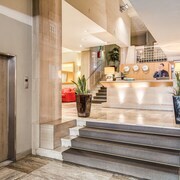 This hotel is clean, has a wonderful breakfast and the closeness to the train station is very helpful. I would recommend this very highly! The staff went out of their way to assist in every way possible. The breakfasts were excellent with a wide array of choices.